An older woman with welcoming arms faces the viewer. Poster Text: WOMEN! 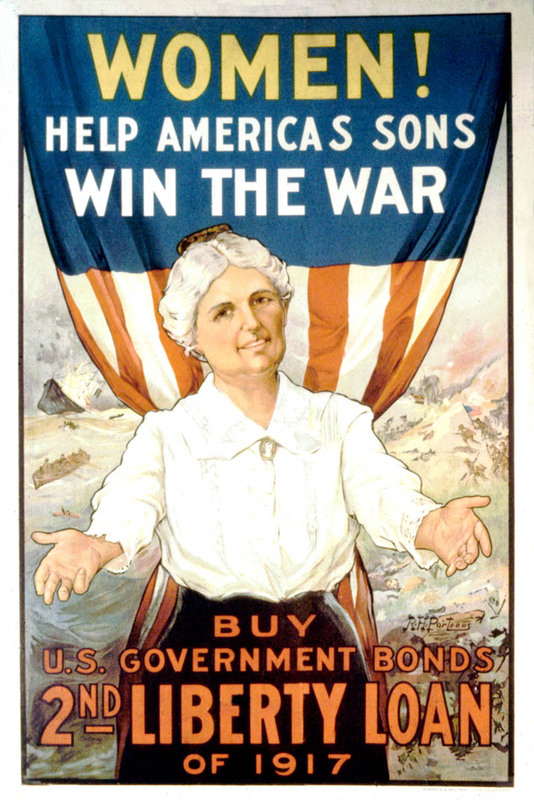 / HELP AMERICA'S SONS / WIN THE WAR / BUY / U. S. GOVERNMENT BONDS / 2ND LIBERTY LOAN / OF 1917.